Today’s tile trends extend so far beyond their traditional use as a staple of bathroom design that you may not recognize them. While once the most attractive and innovative tiles had to be imported, contemporary handcrafted tile and stone products for home design are now being made right here in the United States. Homeowners and interior designers alike are always seeking distinctive visual touches to make each home special. Here are five ways tile design can enhance a room. Elevate small spaces. Use tiles interchangeably to create a unique design. The Ann Sacks Radius Collection by designer Barbara Barry has five distinct modular designs that can be used independently, or combined to create patterns to delight the eye. 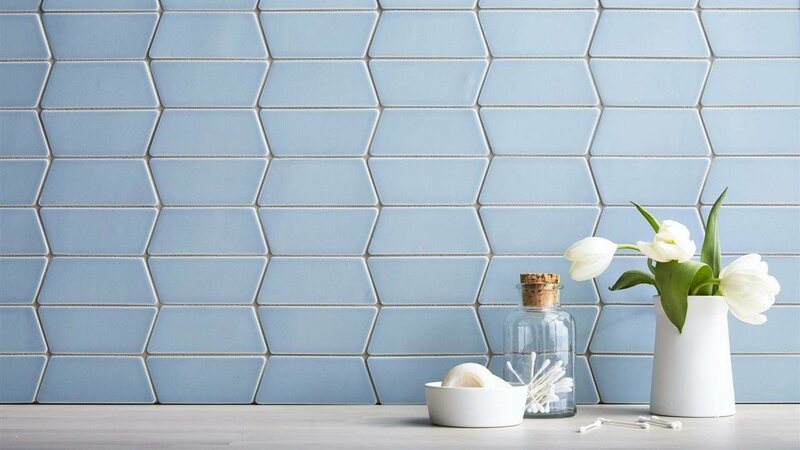 Creative use of a variety of tile shapes like these can easily elevate small spaces such as baseboards, fireplace surrounds or backsplash areas in a kitchen. Make a color statement. Whether you choose a single color or mix colors to create a pattern, the choices can overwhelm. “I enjoy the soft juxtaposition of watery blue tones, soft green tones and the neutral colors of gravel,” explained Barry. While Barry is known for her love of soft colors, you may choose colors that best complement elements already in the room. If you’re not working with a designer, consider traditional complementary color pairs when making decor choices, such as red-green, blue-orange or yellow-purple. Create a calm mood. The latest trends in interior design reflect the desire for homes to be sanctuaries. Inspired by the clean lines, appropriate scale and exacting proportion prevalent in Midcentury Modern architectural design, Barry describes her collection as “soft modern, defined by a curved edge for a sensual feel.” Barry adds, “In this busy world, I want to come home to calm rooms and quiet spaces.” Choosing colors, lines, shapes and scale with simplicity in mind can help contribute to a feeling of calm. Personalize your space. Find what appeals to you, and work with a designer or manufacturer who can meet your requests. In her collection, Barry provides tools for consumers or designers to customize patterns. Designed to spark the imagination, five distinct patterns in varying scales punctuate interiors with personality. Smaller manufacturers can personalize your project with their flexibility, customizing color choices and resurrecting a retired pattern or color, or even by recreating tiles present in a home refurbishing or renovating project. Make your space your own. Create visual interest. Choose different textures through materials like wood, glass or tile to break up an otherwise ordinary surface in a room. Radius is available in all Made by Ann Sacks matte and gloss colorways, which can be installed as a singular color statement or mixed to evoke a unique, personalized design, whether to create a captivating statement-making wall or to cover an entire floor. 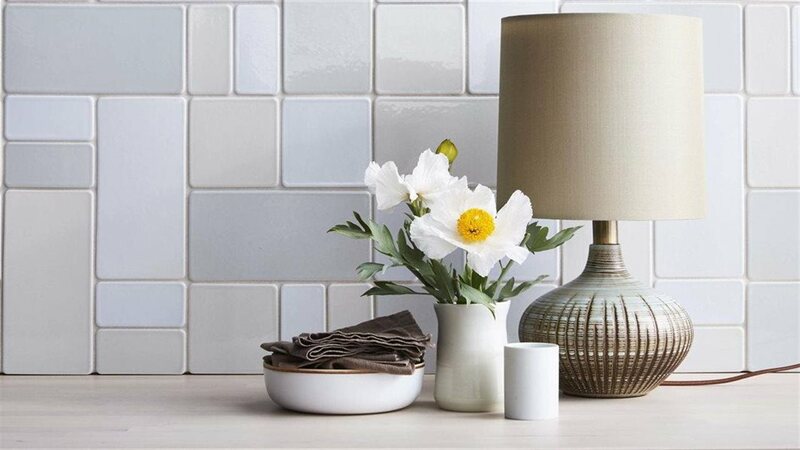 The choice of tile adds a textural element to a room that can’t be duplicated by any other material. Ann Sacks fell in love with tile while on a family vacation to Mexico when she was 13, and later used that passion to create a business inspired by those Mexican tiles. She hired gifted artisans to grow her business into a true American success story. Ann Sacks, founded in 1981 in Portland, Oregon, draws talented craftspeople to create inspiring designs in tile, stone, plumbing, lighting and accessories. These creations are traditional in terms of craft, but aligned with contemporary design trends. Today, the company includes the work of 15 designers. Whether you choose to use tile in a more traditional way in your bath or kitchen, or to elevate another space inside a home with a more innovative style, use a customized design and select colors to create a unique environment anyone would want to call home.